Cain is a scarred but proud man haunted by a terrible skill-the ability to track people who don't want to be found. Rosetta is a runaway slave fueled by the passion and determination only a mother can feel. And she will risk everything for the promise of freedom. In the perilous years before the Civil War, their fates will intertwine in an unforgettable journey-one of hardship and redemption that will take them from Virginia to Boston and back-an odyssey that will change them forever. 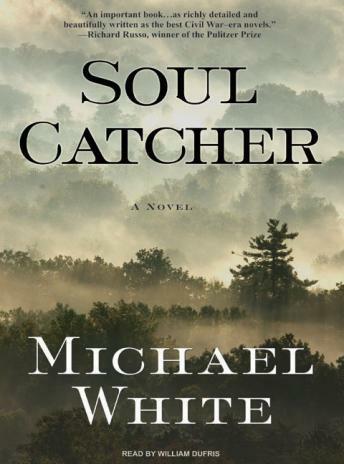 Michael C. White has written beautiful novels before, including the acclaimed A Dream of Wolves, yet none has prepared us for the sheer scope and drama of this new tale-a dazzling tapestry of imagination and character, atmosphere, and emotion. Poignant and utterly compelling, it is a story to be savored and remembered.